SoftPlanet makes it possible for everyone to get free QupZilla download directly from our servers. There is no registration needed for downloading. 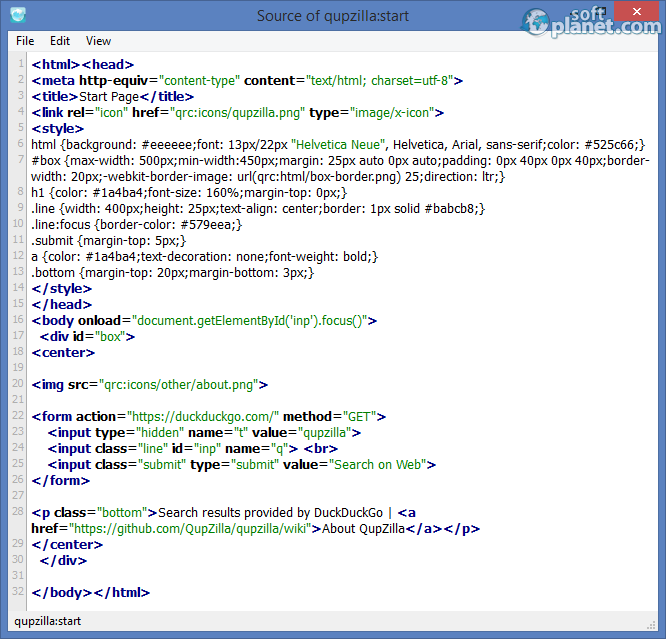 There are two things that define QupZilla from the rest of the browsers out there. The app has an integrated Speed dial and an Ad Blocker which are included without the need to install additional plug-ins. There are some other features which define the program, like Mouse Gestures, an Access Keys Navigator and more, but most of them are also integrated in the competition. Of course like the competition QupZilla is free to download and takes no time at all to install, which makes it also useful and worth trying. 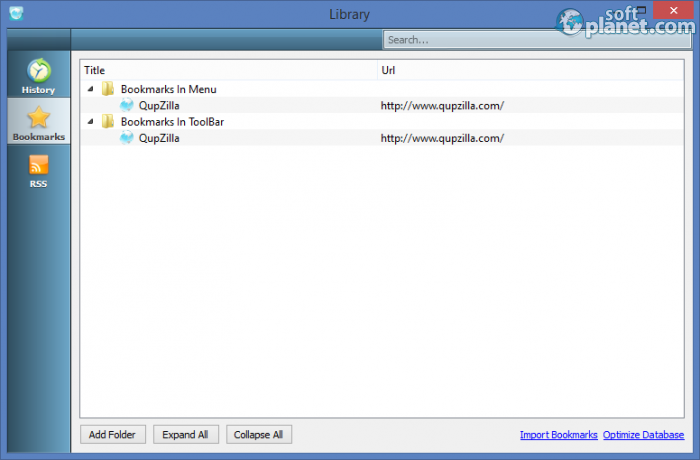 After you install QupZilla it becomes obvious why the browser deserves attention, because it works very quickly. It starts in milliseconds and its speed can be compared to the best three browsers in the world. We compared the speed shown when it opens different pages and QupZilla also managed to perform at top level, which made us wonder why this browser is not more popular. 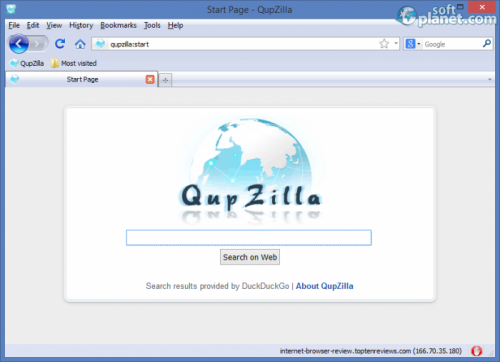 QupZilla has the interface of any other browser, which is not surprising, because with time most Internet browsers integrated a somewhat similar look to help the user. There is a main screen where the page which is opened is displayed, there are tabs, which include File, Edit, View, History, Bookmarks, Tools and Help, and also you have two fields – one for the address of the web page, and another for the search tool that you've chosen to use. You can change the view of the Toolbars and Sidebars, and of course you can zoom in and out. If this is not enough for your personalization, you can add more with the Preferences, where you can adjust Appearance, Tabs, Fonts, Keyboard Shortcuts and other features. Also you can add extensions, since this is the place where Access Keys Navigator, Grease Monkey, Mouse Gestures and others are included. 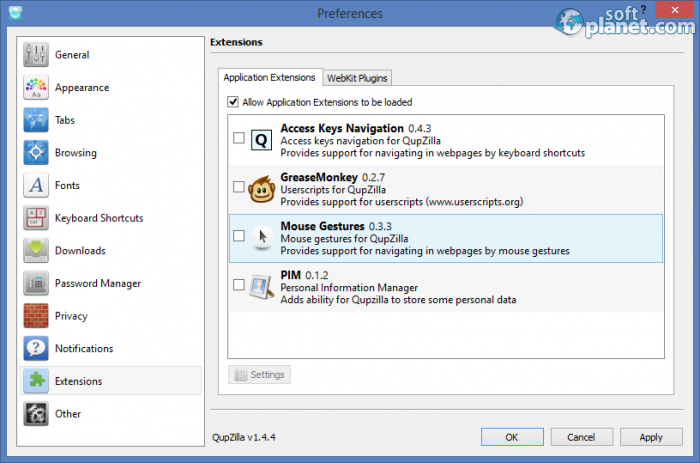 The Access Keys Navigator tool is one of the things which make this browser different. With it you can use keyboard shortcuts to navigate between webpages, making your browsing much easier – of course if you are a fan of keyboard shortcuts. The integrated ad blocker is the other tool that we mentioned, which makes the app differ from its counterparts. We have met this feature only in Polarity, but this app had some issues with the newest version. It took years before the appearance of a new big warrior at battlefield of web browsers. Actually, in the pass few years, we saw some unsuccessful tries. However the day we were waiting for just came. QupZilla might be the next widespread Internet browsing solution. So ,Google Chrome, watch out QupZilla is coming for you. Our security scan shows that QupZilla is clean from viruses. The current version of QupZilla has been scanned by our system, which contains 46 different anti-virus algorithms. That ensures that QupZilla 1.8.5 is 100% safe for your computer.